Largest Selection of fresh cut flowers in the heart of Downtown Best Price Best Quality Best Selection A wide assortment of local exotic flowers in original colours varieties Custom made arrangements made-to-order Delivery Service Available Come see us for our unique gift selections Home decor Gifts for birthdays New babies New home owners Etc. 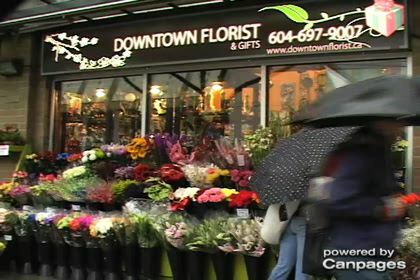 Situated at 730 Davie St in Vancouver, Downtown Florist is a merchant inside the florists - retail section of Canpages.ca online directory. Dial 604-697-9007 to contact Downtown Florist that is near your area.